In simple terms, a cleft is a separation of the parts of the lip or roof of the mouth. The lips and roof of the mouth normally come together during the early weeks of fetal development. A cleft lip is a separation of the two sides of the lip and often includes the bones of the maxilla (upper jaw) and the upper gum (alveolar ridge). It looks as though there is a split in the lip and upper gum. Figure 1 illustrates a normal lip and labels the parts of the lip and base of the nose. A cleft lip can range from a slight notch in the vermilion (red portion of the lips) to a complete separation of the lip extending into and distorting the tip and side (ala) of the nose. When there is a cleft lip, frequently the alveolar ridge (upper gum) is also separated. As seen in figure 2, clefts of the lip may may occur on one or both sides, with varying degrees of severity. If the cleft occurs on one side, it is called a unilateral cleft lip (Fig 2 left). If the cleft occurs on both sides of the lip, it is called a bilateral cleft lip (Fig 2 right). The palate is the roof of the mouth. The front part contains bone and is hard (hard palate); the back part does not contain bone and is soft (soft palate). Figure 3 (left) illustrates a normal palate and labels parts of the palate that you may hear discussed. A cleft palate (figure 3 right) is an opening in the roof of the mouth. A cleft palate does not mean that the palate is “missing” although it may sometimes look that way. It means that the two sides of the palate did not join together (fuse) as the unborn baby was developing. Cleft palates can vary in extent; an incomplete cleft palate involves just the back of the soft palate, while a complete cleft palate extends the length of the palate to just behind the gums (Figure 3 right). 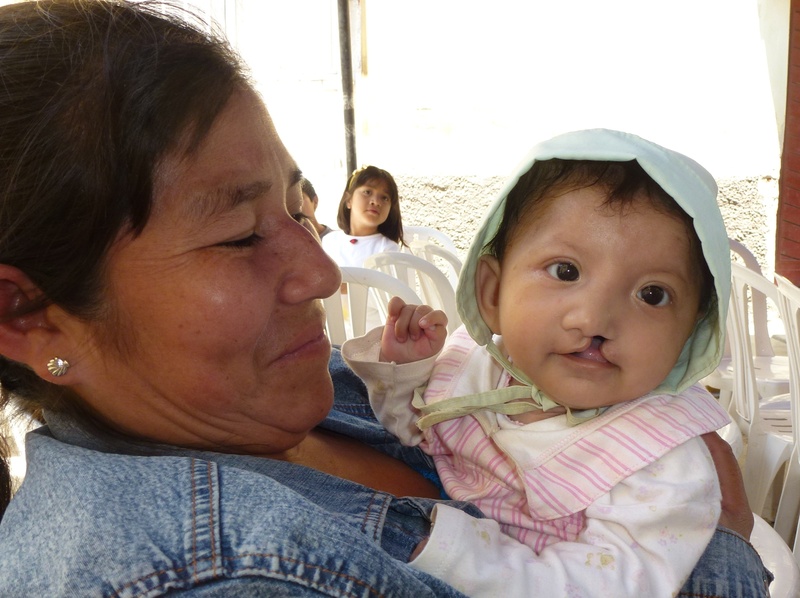 Because the lip and palate develop separately, it is possible for a child to have only a cleft lip, only a cleft palate, or both a cleft lip and cleft palate. When clefts of the lip and palate occur together they can involve one side (unilateral) or both sides (bilateral) of the palate (Figure 4). Thanks is given to the Cleft Palate Foundation for allowing us to share the above information.